This is the pre-meal part. Typically, you can be served Crostini (lightly grilled slices of unsalted bread spread with chicken liver pate) or also the popular Bruschetta (a Pugliese version with diced tomato, garlic and herbs). Other Tuscany favourites include fried squares of Polenta (cornmeal flower based) and selection of cured meat. 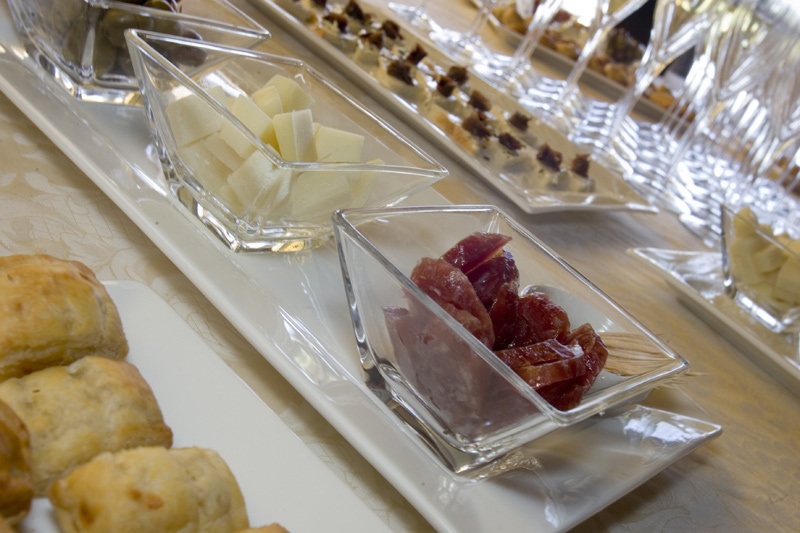 It has now become very popular to serve the antipasti in a buffet style manner accompanied with a glass of Prosecco ( Italian dry champagne ). In most case, this is the pasta part of the meal but you can also be served salads such as Panzella (Tomato salad with bread crumbs – taste much better than it sounds!). 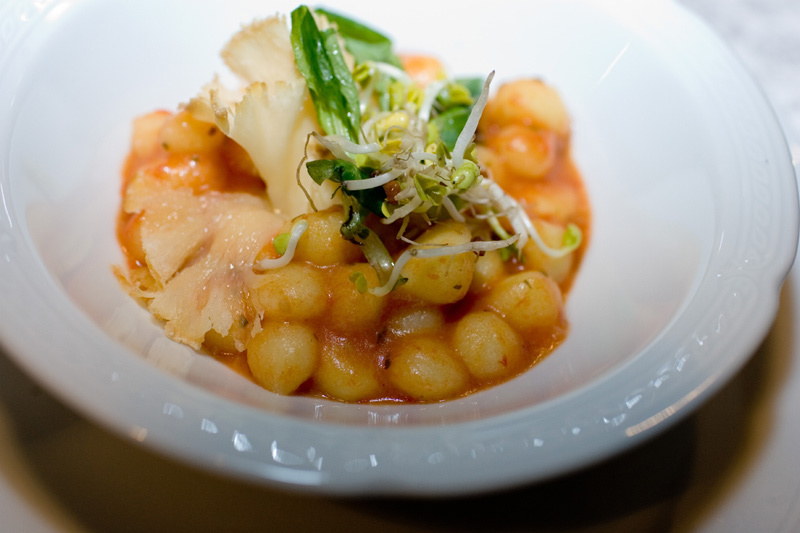 Pasta is of course a very versatile dish for the amount of shapes and sauces that it can be arranged with. From Ravioli con Burro e Salvia (ravioli with sage and butter) to Parpadelle sulla Lepre (ribbon pasta with hare), you will be spoilt! 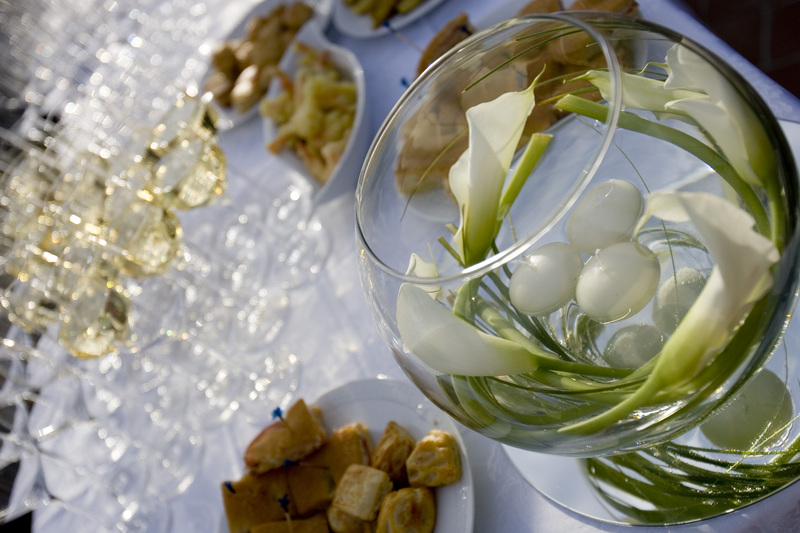 As in many Mediterranean country you cannot celebrate an event ( such as weddings!) will always include meat as part of the menu. The Tuscans are particularly fond of meat and typically eat it grilled (beef, veal, rabbit, hare, wild boar, lamb, etc). 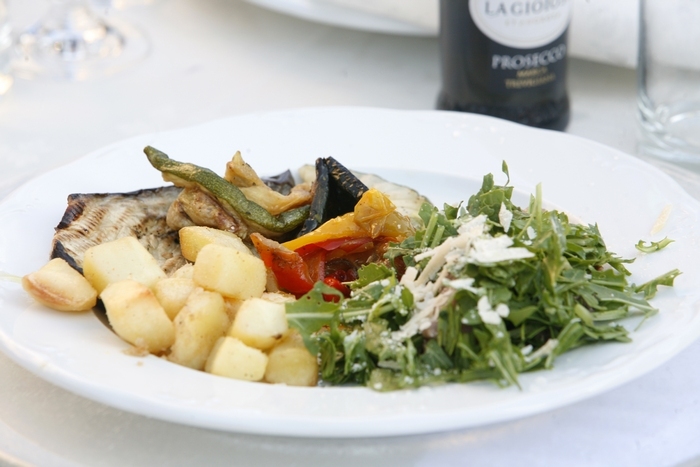 The meat dishes are accompanied with side dishes of seasonal vegetables: fried, cooked in the oven or simply grilled (aubergine/eggplant, stringy beans, beans etc). Of course, ice-cream (Gelati) and tiramisu are typical Italian deserts. 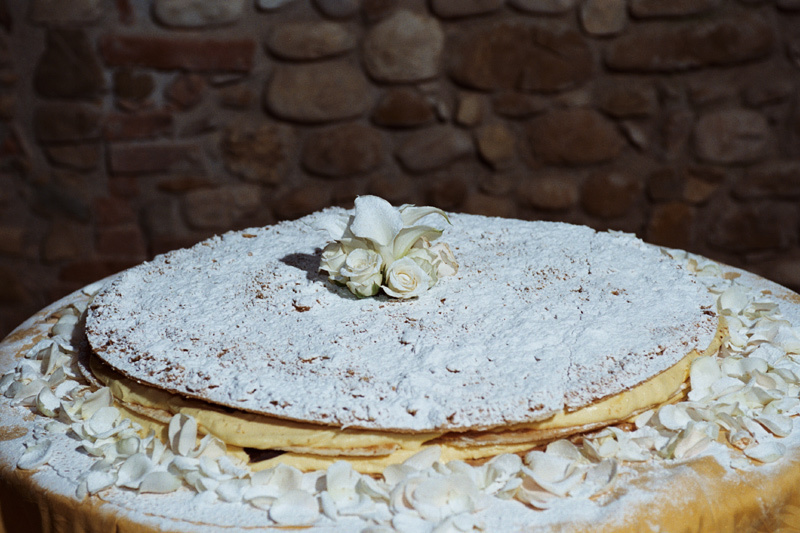 However, on occasion such as weddings, dessert will is typically fresh fruit cake (Puff pastry covered with a layer of cream and fresh fruit). Nobody forgot the salt! The bread is typically Pane Sciocco which is unsalted bread. 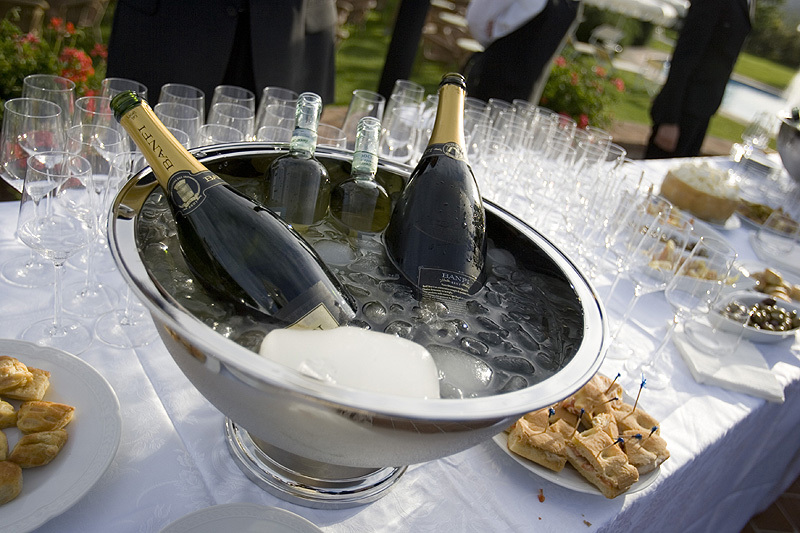 Wine will be good quality table wine, red or white according to your wishes. 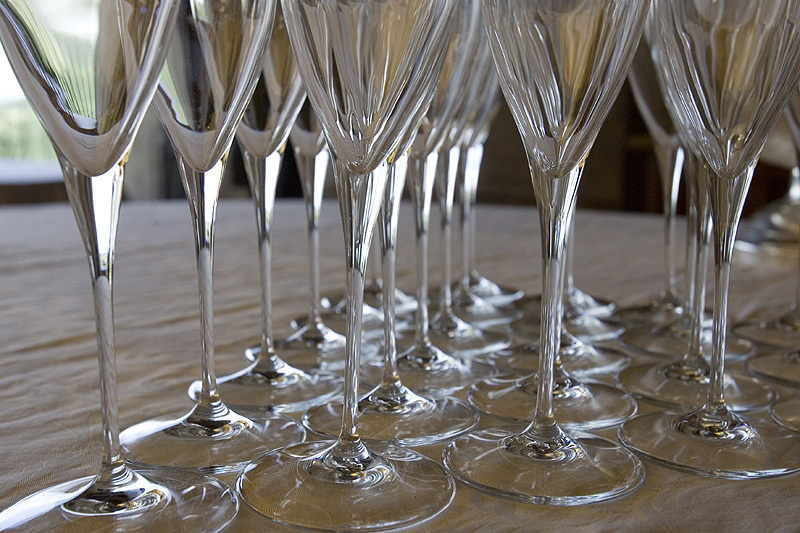 We can also organise for the more noble Tuscan wine to be served such Montalcino or Brunello. Half way through the meal, you will often be served a sorbet with a drop of liqueur. And to round off the meal, expect digestives such a Limoncello (lemon liqueur) or Grappa to be served with coffee.